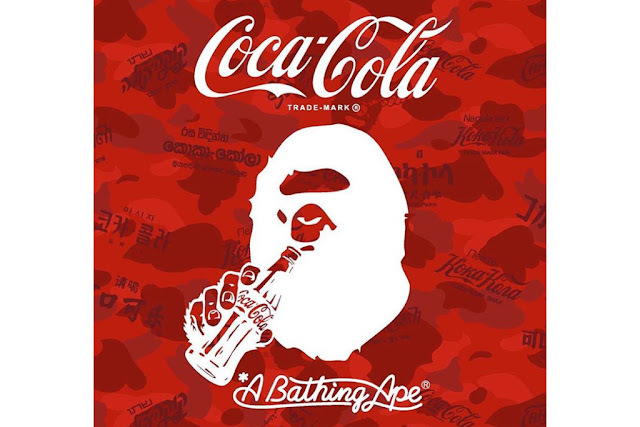 After producing a capsule collection back in 2014, which included hoodies to watches to yo-yos, BAPE and Coca-Cola are joining forces once again. The Japanese streetwear brand took to Instagram to tease a collaborative design with its iconic ape head sipping from a classic Coke bottle, akin to its preceding announcement. Set against a camo background overlaid with Coca-Cola’s logo in various languages, the image magnifies the global influence of the beverage brand, which has garnered numerous partnerships with fashion brands in the past. Be sure to check back for more updates on this forthcoming collaboration.